A review of Re-creating Image and Identity: Dreams and Visions as a Means of Murad III’s Self-fashioning, by Özgen Felek. Although the significance of dreams and their interpretation transcends the confines of a particular culture and society, it would not be incorrect to single out the Islamic tradition for its immense interest in dream lore. 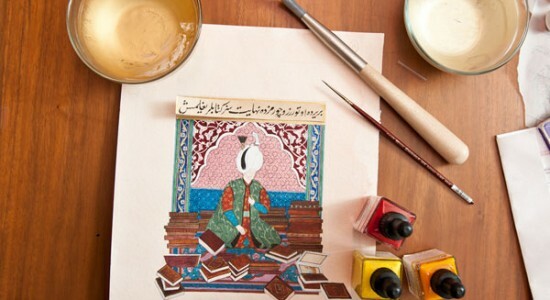 That there was great interest in dreams in Muslim societies past and present can easily be demonstrated given the abundance of manuals on dream interpretation, personal dream accounts kept in diaries or epistolary forms, and narratives of visionary experiences scattered throughout historical accounts, travelogues, biographical dictionaries and hagiographies. Unlike previous scholarly attitudes that have failed to recognize the significance of dreams, often writing off dream records as fiction, interdisciplinary studies on dreams in Islamic culture have expanded remarkably in the last two decades. Yet as Peter Burke accurately stated, scholars and especially historians may still forget the fact that “they do not have access to the dream itself but at best to a written record, modified by the preconscious or conscious mind in the course of recollection and writing” (“The Cultural History of Dreams” in idem, Varieties of Cultural History, Ithaca: Cornell University Press, pp. 23-42 at p. 28). In her well-researched and well-written analysis of the collection of dreams, visions, and other mystical experiences of the late-sixteenth century Ottoman sultan, Murād III (d.1595), Özgen Felek adopts a fresh approach and focuses upon the narrativity of these dream accounts; that is, how these narratives were constructed by the dream teller and in what ways they functioned. The text Felek examines is a unique piece that consists of over 2,000 letters that Murād III sent to his şeyḫ. Although there are other available autobiographical accounts, private letters, and memoirs of Muslim rulers in the sixteenth century such as the Baburnama of the Mughal emperor Babur and the Tazkira of Shah Tahmasp, Murād III’s Kitābü’l-Menāmāt is distinctive as it includes hundreds of dreams and visions as recorded by the Ottoman sultan. Felek’s dissertation is organized into an introduction, five chapters, and a conclusion. The introduction outlines the methodological contours of the study and specifies in which respects it stands out with regard to current scholarship. Although the subject of dreams has been treated in Islamic Studies from several perspectives, including the anthropological, religious, mystical, historical, and scientific, there is no other extant study that focuses exclusively upon their function “as image-creating, in particular royal image-creating, devices” (p. 10). One of the major aims of this dissertation is to make use of the accounts of dreams, visions, and other mystical experiences in the Kitābü’l-Menāmāt with an eye towards explicating how Sultan Murād III used these narratives as a tool to create his self-image and identity. Chapter 1, “Murād III: the Pādişāh,” gives a detailed historical portrayal of Sultan Murād III through the eyes of contemporary historians and chroniclers. Murād’s deviation from “Ottoman rulership-script” was a major factor in the negative image he had among many of his contemporaries. Deriving her inspiration from the idea of “sexual script” first introduced by sociologists John H. Gagnon and William Simon, Felek develops the notion of rulership-script that defines the characteristics of the ideal Ottoman sultan. As Felek correctly argues, “Being a Sultan required following prescribed social behavior in the theater of life” (p. 26). According to this script, an ideal Sultan was expected to follow a set of particular codes of conduct. Among these were bravery and skill in battle; generosity, piety and justice; responsiveness to the demands of his subjects; frequent visibility in public; and moderate sexual activity. Murād III, however, deviated significantly from this script in the eyes of some of his contemporaries. His reluctance to physically participate in military campaigns, his withdrawal from interaction with his subjects, his desire to remain in the palace surrounded by courtiers and boon companions, his alleged sexual impotence in his youth and subsequent extreme sexual behavior – apparently the result of a successful magical/medical treatment – were all traits that his critics used to construct a negative image of him. In Chapter 2, titled “Self-hagiography through Dreams and Visions,” Felek provides a detailed description of the Kitābü’l-Menāmāt and situates the text within the genre of Sufi epistolary literature. The Kitābü’l-Menāmāt is a bound collection of 259 folios comprising Sultan Murād III’s letters to his şeyḫ Şücāʾ Dede. These letters are undated, but Murād presumably penned them between 982/1574 when he first met the şeyḫ and 996/1587-8 when the şeyḫ died. The letters were compiled in 1001/1592 by Nūḥ Aǧa, a disciple of Şücāʾ Dede and mīraḫor (horsemaster) of the Sultan. Over 2,000 in number, these letters consist not only of epistolary accounts of spiritual experiences (i.e., dreams, visions, and aural experiences) but also of ‘secular’ letters that deal with more quotidian issues. In this chapter, Felek also introduces the reader to the complicated relationship between the Sultan and his şeyḫ, a theme that she will further develop later in her dissertation. While some of these ‘secular’ letters imply that Sultan Murād III consulted the şeyḫ in issues of internal administration and/or foreign policy, the accounts of visual and aural mystical experiences serve to establish Murād III’s image as an accomplished Sufi. Through the reports of mystical experiences, Felek says, the text acts as Murād’s own hagiography. Chapter 3, “(Re)creating Image and Identity through Narrative Devices,” provides a stimulating narratological analysis of the dream accounts recorded in the Kitābü’l-Menāmāt. Adopting Mieke Bal’s theory of narratology, Felek treats Murād III’s dreams as narrative texts in which he “splits himself into” (p. 89) two characters: Murād the dreamteller/storyteller and Murād the protagonist. Through the use of several themes, motifs, symbols, side characters, tropes, and anecdotes from various genres of Islamic lore, Murād the dreamteller/storyteller allows himself “the opportunity to relate his story in the way he wants to be seen by others” (p. 94). With this authorial capacity, the sultan is able to create the fictive Murād III character, who is, unlike the negative image of the contemporary commentators, a brave warrior, an intellectual sultan, and a gifted Sufi. Chapter 4, “Murād: the Veliyyu’llāh” (i.e., a ‘friend of God’ or saint), focuses upon his image as a gifted Sufi. Felek reads the content of his dreams and visions together with a contemporary manual of dream interpretation written by another şeyḫ in the Halvetī order, to which Murād’s own şeyḫ was connected. This is quite useful as a methodology, since in the Halvetī order, dreams were considered to be an index of the stage a disciple has reached in his spiritual journey. By linking the objects, animal and human figures, places, deeds, and even the colors that are mentioned in his dreams with the explanations given in the contemporary manual of dream interpretation, Felek pictures Murād evolving from a submissive disciple of his şeyḫ to the spiritual pole of the universe, and even into the Prophet himself. The fifth and the final chapter, “Murād: the Pādişāh-ı dīn-i İslām,” analyzes how Murād III’s Sufi identity was reconciled with his ambitious political aspirations. Here Felek appropriately situates this discussion within the messianic and millenarian currents that were widely in circulation at the time. Although Murād III is never explicitly identified in the accounts of his mystical experiences as the awaited Mahdi or messiah of the end times, the dream accounts in which he transforms himself into the Prophet Muhammad and Ali can be interpreted as the method by which he seeks to legitimate his divinely-ordained rule. By means of this appealing strategy he was able to cast himself as the sovereign protector not only of the Ottoman territories but also of the entire Islamic dominion. By shifting focus away from the prophetic nature of dreams in Islamic culture to the narratological and textual significance of these accounts, Felek succeeds in examining the ways in which these narrative texts served their ‘author.’ Her emphasis on the role of dream-writing as a strategy to build one’s image and identity in the early modern era offers new research possibilities. Overall, this is a welcome contribution to the available scholarly literature and adds considerably to our understanding of Islamic dream lore. University of Michigan. 2010. 235 pp. Primary Advisors: Alexander D. Knysh and Gottfried J. Hagen. Image: “One of Özgen Felek’s illuminations in progress,” photograph by Linda A. Cicero, Stanford News Service. Visionary Landscape in Tibetan Buddhism, 18th-20th c.